Maybe you’ve noticed it a time or two here, or Twitter or Instagram or even Facebook, but I LOVE to ski! There’s something about cold air, wonderful snow, maybe even some ice, family and friends that make all of the “how do I do this with diabetes?” completely worth it. We have a heat wave here in Boston right now, and walking with friends the other night they were rejoicing and I was wishing for the snow to come back. Yes, I am counting down the days already. And if you’re ever in New England when it’s cold and want to find a mountain with me, I’ll happily join you. We are all more than diabetes! Go here to find what makes others more! Love this, and love the photo. Thanks! I love to ski too! 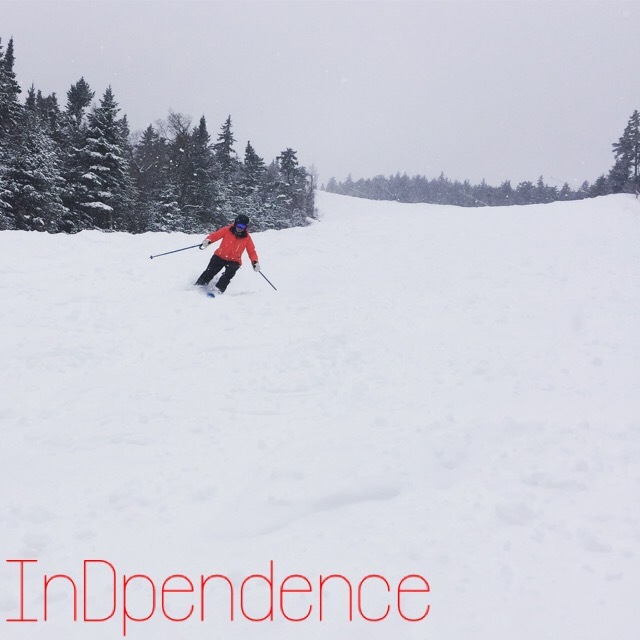 I’d love to know your favorite ski places in New England. My hubby’s family lives in Massachusetts and New Hampshire so we go up there from time to time.